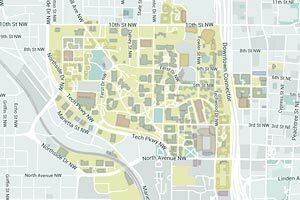 Cybersecurity research laboratories are located in multiple locations on campus and elsewhere in Midtown Atlanta. Select labs may be visited by appointment. 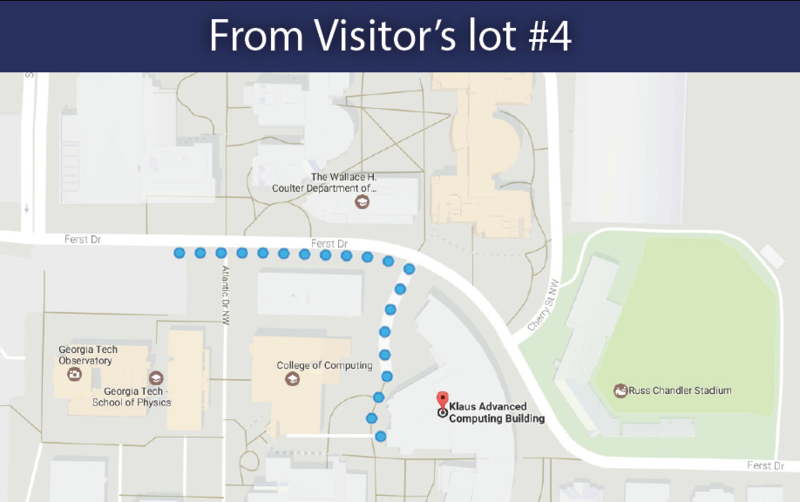 Visitors to the Klaus Advanced Computing Building may park in Visitor Area #5 off State & 10th streets, or in Visitor Area #4 at the intersection of Ferst Drive & State Street on campus. The cost is $2.00 per hour, payable by cash or card in advance. From Visitor's Lot #4, walk east on Ferst Drive toward Atlantic Drive. 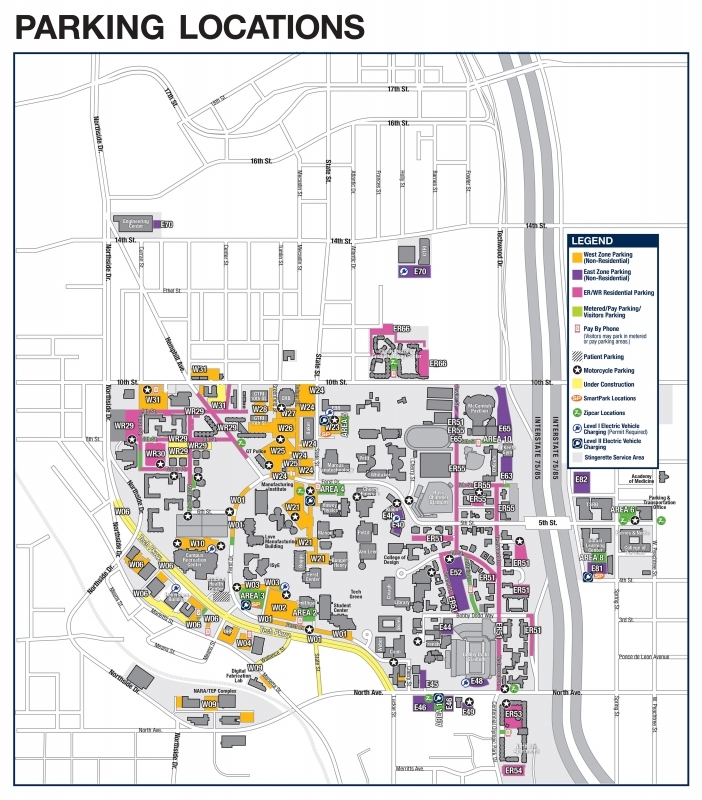 Turn right on Plum Drive and the Klaus Advanced Computing Building (marked "E40" on the map above) is immediately on the left. Walk down the short driveway into campus, and enter the double doors on your left where the driveway ends. The Institute for Information Security & Privacy is located on the third floor of Klaus, left of the elevator bay. Special events and the Cybersecurity Lecture Series are held on the first floor of Klaus.